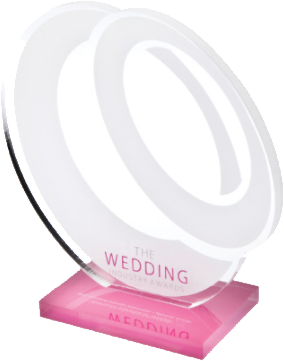 Are wedding awards an expensive waste of time? The short answer is entirely not, the more extended answer reveals so much more. As a six times award winning wedding DJ, you'd expect me to be pro-awards. Let me explain why I recommend putting the expense of entering near the top of your marketing budget; and why you should invest valuable time shaping your company to win. 1. There can only be one winner granted, but that could be you! So what does winning mean? Well, to some I've debated with over the years, it means nothing. They've told me it's just a hollow badge on your website. Some have even tried to persuade me that brides do not even value awards, arguing they look to other distinguishers in wedding suppliers when selecting who to hire. IMHO they could not be more misguided. i) A professional vendor with a proven ability to excel. ii) A reliable 'done for you' service. iii) Strong emotional benefits like 'bragging rights', uniqueness and status. v) The ability to uncover efficiencies when problem-solving. Winning an award ticks all of the above. 3. Even if you don't win the award, there is strong marketing mileage in just being a participant. I remember after winning my first wedding award some seven years ago, a non-believer suggested I never enter another award again because it would harm me if I lost. (What?) Of course, I ignored the advice, and if anyone ever tries to discourage you from entering an award, please do the same. There are few marketing strategies capable of helping your wedding business as much as winning awards, so try and fill your cabinet!